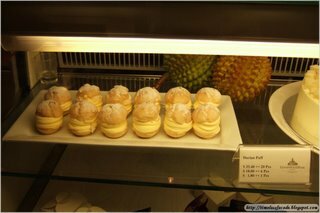 Dropped by the Goodwood Park Hotel Deli after our dinner at Chummeez to pick up some of their famous Durian Puffs. 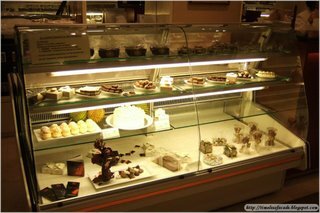 I was hoping to get 50% off as all pastries go for half price after 2000hrs everyday. Alas, it only applied to the cakes and not the Durian Puffs. 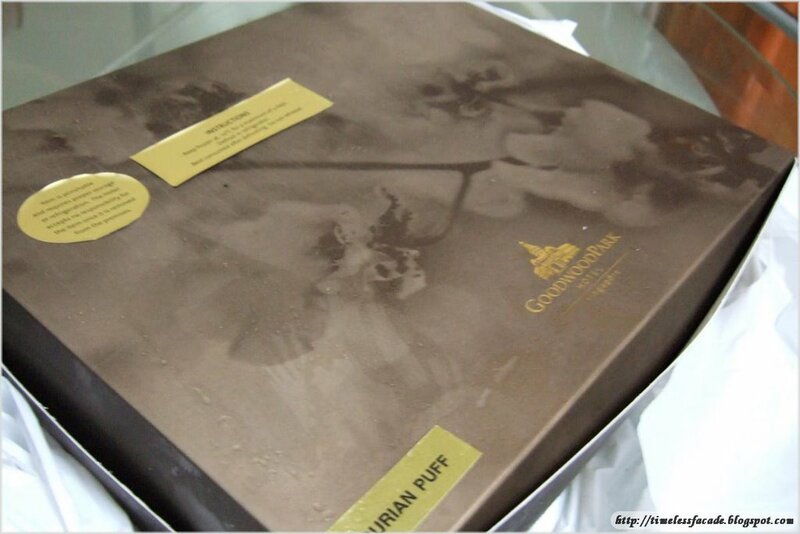 Nevertheless, I bought a box of 20 at about $35, which roughly works out to be $1.80/puff. 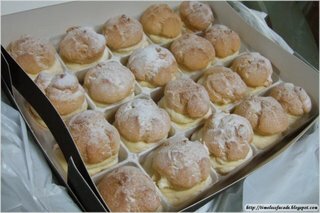 Ridiculously expensive if you ask me, especially when the puffs from 717 Cakerie go for only about $0.55 each and they serve a pretty mean Durian Puff. However, the Durian Puffs are really good and undoubtedly live up to their reputation. 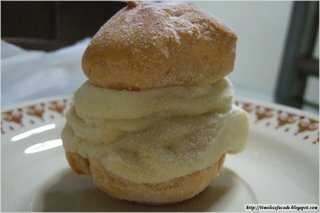 The pastry is soft and fluffy, even after being left in the fridge for some time. The durian filling is simply finger licking good. Made for D24 durians, it is smooth and sweet, yet doesn't come on as being too strong or overwhelming. There's quite a huge durian filling between the pastries so you can be sure of a durian overload. Try it to believe!